Video: Senator Melaye mocks APC, says PDP is his new home – Royal Times of Nigeria. 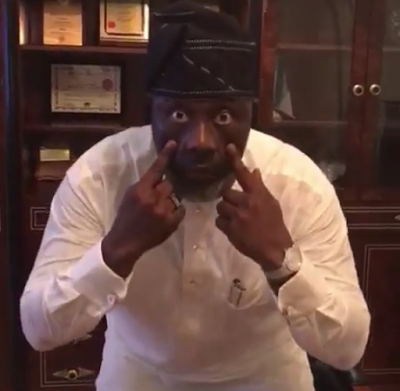 Senator Dino Melaye has released a new video where he remixed a popular song “Oh! My Home” mocking his party the All Progressives Congress (APC). In the video, Melaye referred to the Peoples Democratic Party (PDP) as his home, saying that the All Progressives Congress (APC) had suffered him. The video which is currently trending on so many social media platforms was obtained by our correspondent from a Whatsapp group chat. When shall I see my home – APC suffer me o! I will never forget my home.